I have been posting a blog post from each year that the blog has been around. This year, 2010, was probably the best year of my whole life. My full time job has gone from unbearable to at least somewhat tolerable (which is a dramatic improvement), my sister and brother-in-law made me the cutest niece in the world, things with my fiber/knitting endeavors are going great, and Alex and I made a plan to be married this coming October. 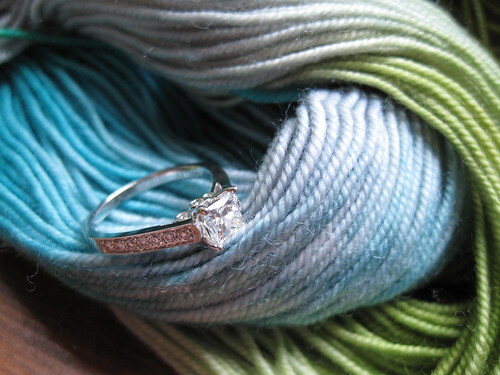 And, even though it's not knitting related, it's probably my favorite post of all time on the knitting blog, so I am going to post it again. Well, some of you who are already Facebook friends with me or follow me on Twitter know this, but I just had to share with all my bloggy friends too. . . .
Alex and I got engaged last night!!! I don't think I could possibly be more excited. We had shopped for a ring way back in December, the monthly statements started coming for it in late January, and I patiently waited (well, maybe not that patiently, I did ask Alex several times if he was taking me anywhere romantic and also told him once or twice that the ring finger on my left hand was feeling extra light and maybe he could help me weigh it down a little, but I digress). Anyway, last night after we ate some super delicious dinner (seriously, everyone needs to make this lasagna, it's the best), Alex suggested that we look at the "Alex & Jen Scrapbook." 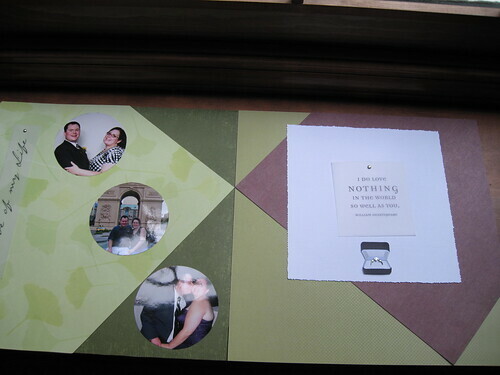 Scrapbooking is my other crafty hobby and I had started this scrapbook after we started dating. So, we are looking at it and we get to the last page and he turns it and there is a scrapbook layout that my dear Alex made! He said it took him five hours to make and he had to go on the internet to figure out how to make it and he had to steal my scrapbooking supplies! I don't think I have ever loved a page in any of my scrapbooks more. It was so perfect. Crafty and super cute! 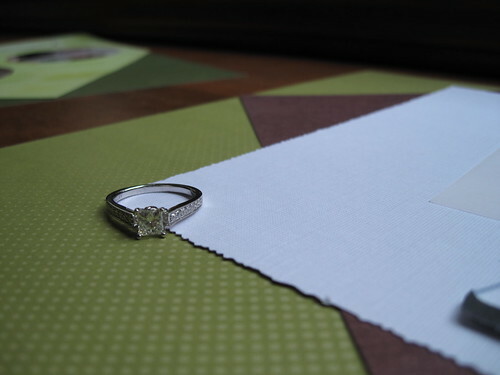 There we are looking at the scrapbook page, and he gets down on one knee and says all those things you wait your whole life to hear and pulls the ring out of his pocket! 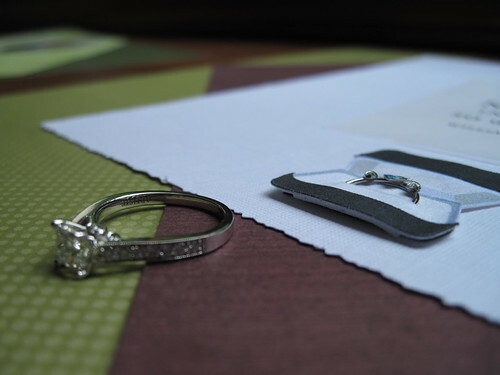 Even though I knew that an engagement was looming I was super surprised. It could not have been better. Well, I hope you enjoyed this look back on the blog. Back next week with brand new blog posts. Happy New Year!